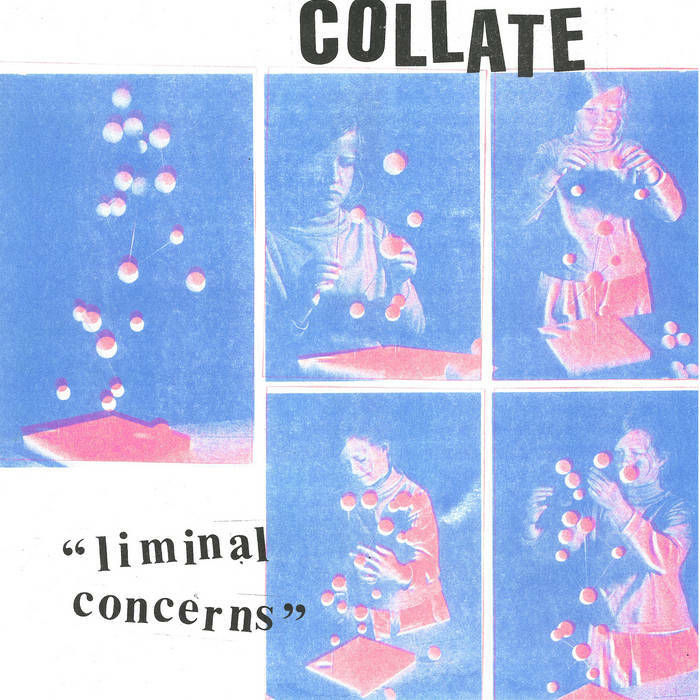 Home > DISTRO LP > COLLATE "Liminal Concerns" 12"
Excellent angular DIY guitar rock from this new Portland trio. Collate are doing a jerky, rhythmic thing, not quite postpunk and certainly more in the vein of Swell Maps/Au Pairs. Highly recommended if recent Pacific Northwest action like LITHICS, TABLE SUGAR, or GEN POP floats your boat. Edition of 300 with unique three color riso-printed sleeves and hand stamped labels. Snag one now or cry later! Self released by the band. Copyright Feel It Records. All Rights Reserved. Create Online Store with 3DCart.